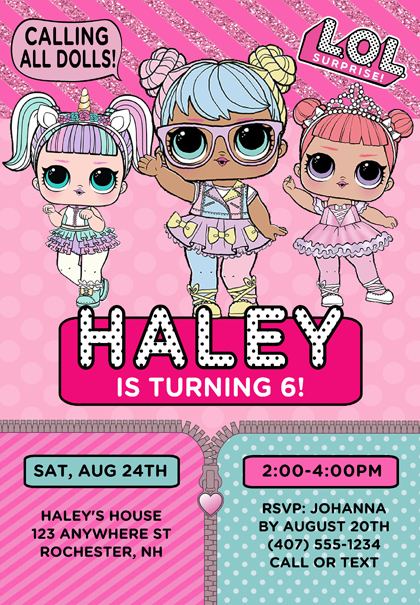 LOL doll birthday party invitations. 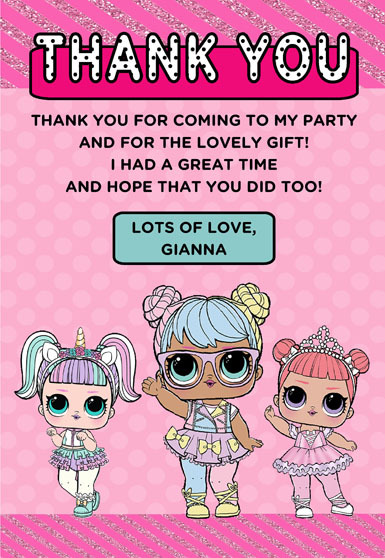 This adorable LOL invitation features 3 dolls in a colorful background and is perfect for a LOL doll themed birthday party. 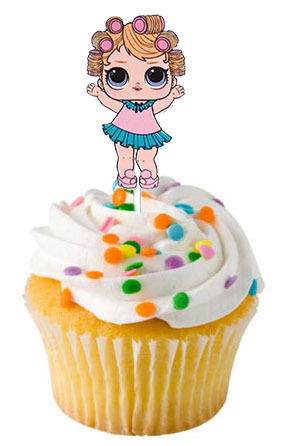 Excellent for girls birthday parties! I have other dolls available too. Don't see your favorite, just ask! These are printed using a high quality laser printer and the finished party invitations are affordable and of outstanding quality!